After sanding, wipe down the coaming and base plate with a tack cloth to remove all dust before coating. 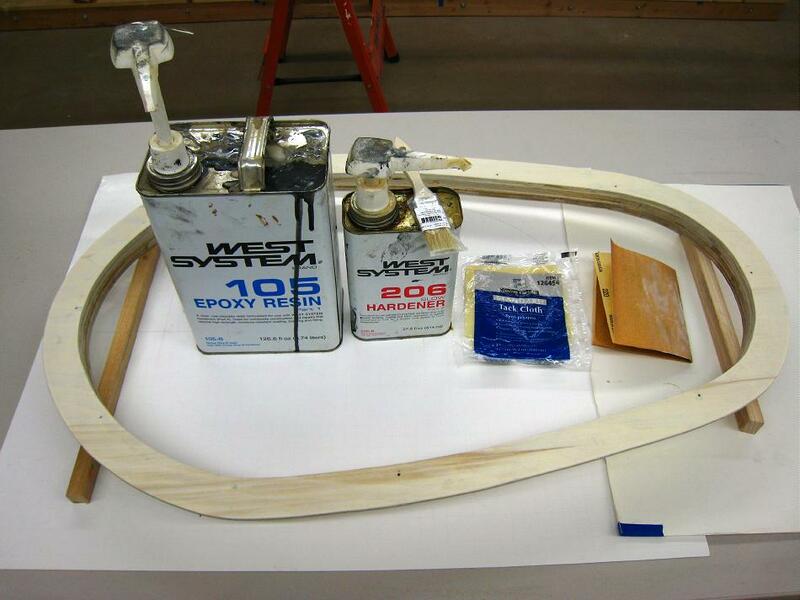 West systems epoxy resin is used to coat the coaming and the base plate. Two coats are recommended. A small throw away 1″ – 3″ brush is used.